Zimbabwe Human Rights NGO Forum (The Forum) calls upon the Commission of Inquiry looking into the Post-Election violence to ensure the safety of the victims and human rights defenders. The forum reported that since August 1, victims of the human rights violations, families of the deceased and human rights defenders have reported victimization by state agents and a number of civil society organisations reported night visits and office raids by suspected State agents. “We here emphasize on the need to prioritize the security of the victims, witnesses and the human rights defenders who will interact with the Commission and this goes beyond mere declaration that witnesses are safe” Mukoko said. The Forum suggested that the Commission having commenced its work needs to make itself more visible and make the nation more familiar with its works and procedure because the consequences of the August 1 events go beyond readers and followers of the state media. “The Commission must make use of the public and alternative media , print and electronic media to ensure that all people of Zimbabwe know what it is about and what to expect, all this done in language that the people of Zimbabwe understand”, Mukoko recommended. The forum further asked the Commission to treat all victims equally and fairly without discriminating against race, gender, religion, ethnicity or political affiliation. 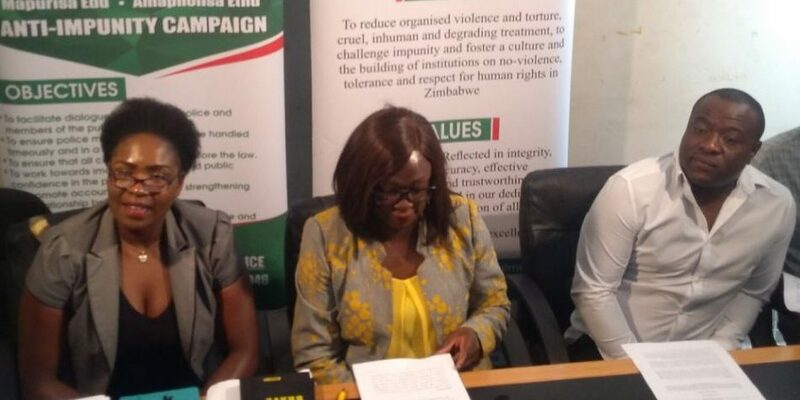 ‘Victims must be free to speak the language of their choice under secure conditions and no victim from any point in history must feel left out of the process if they have expressed a wish to participate” Mukoko said.